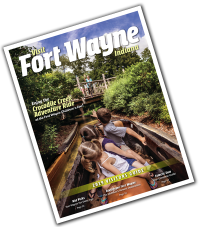 What's New at the Fort Wayne Children's Zoo for 2017? 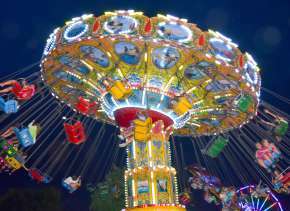 After the long winter, what can you expect new at the zoo for 2017? 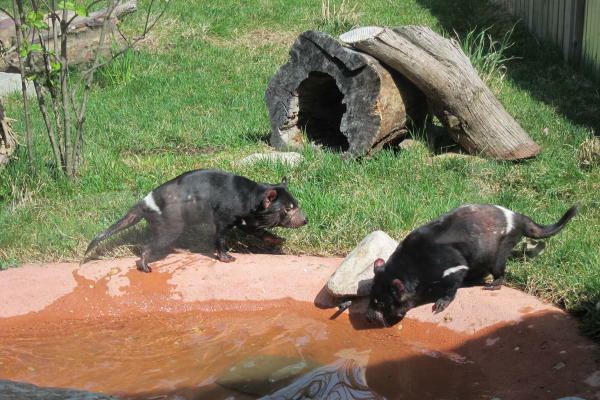 Last fall, the zoo received two Tasmanian devils on loan from the Australian government. This spring, guests can finally meet these two brothers, named Milton and Mischief. If you&apos;ve been visiting the zoo for years, you may remember that twelve Tasmanian devils lived here between 1987 and 2004. It&apos;s exciting to have these endangered animals in the Australian Adventure once again! There is a viewing area with benches so you can take your time enjoying the brothers&apos; antics. You&apos;ll notice that Milton is the more active of the two, which you&apos;ll see reflected in his sleeker physique. Mischief is more laid-back and has more white markings (in the photo above, Milton is on the left while Mischief is on the right). The boys are four years old. 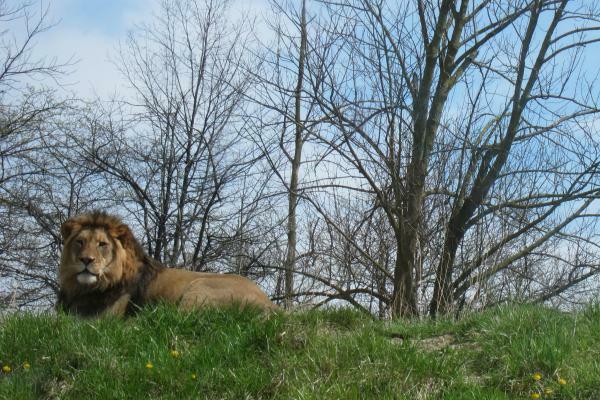 Remember how sad you felt last spring upon learning that the zoo&apos;s male lion, Bill, had died? Well, you&apos;ll be happy to know that there is a new male lion in town. He&apos;s named Bahati (which means "lucky" in Swahili), and he&apos;s been here since November. The two-year-old is still growing, although he&apos;s already a majestic 400 pounds. He is personable, coming down to the viewing glass on the day I viewed him and sitting regally in view of visitors later. Zookeepers are hoping to introduce Bahati to female lion Ina later in the season. As you meander through the African Journey, you&apos;ll notice other new animals, such as a male sitatunga named Bam Bam (his horns make him easy to distinguish from the females). And just around the corner from the lions&apos; area is a new display of radiated tortoises. These critically endangered tortoises, native to Madagascar, have been called the most beautiful tortoise species in the world due to the markings on their carapaces. 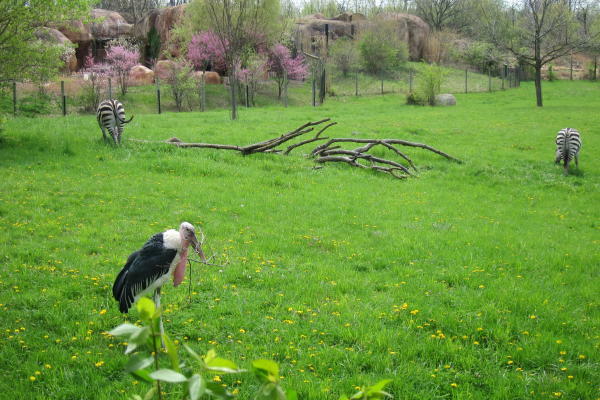 As you walk through the African Journey, keep an eye open for the animal who&apos;s lived at the zoo for the longest time: Edgar the stork. I enjoyed watching him walk among the zebras, moving sticks from place to place. Fun fact: Edgar, who is in his 30s, is the second-oldest zoo animal here. The oldest? The tortoises in the central zoo area. Keep a look out for new zoo babies, like the female baby de Brazza&apos;s monkey, "Baby" who was born on April 27, 2017. She can be found staying closer to her mother while on exhibit in the African Journey Village. 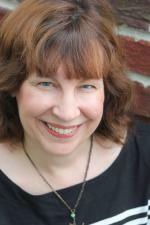 She is aptly named "Baby," because of her tendency to be kept in the corner for protectiveness with her mother. In the Central Zoo, keep a look out for Hercules, the new male baby Ring-Tailed Lemur who was born on May 7 to parents Kyna and Ombi. He can oftentimes be found riding around on his mother&apos;s back or playing nearby. 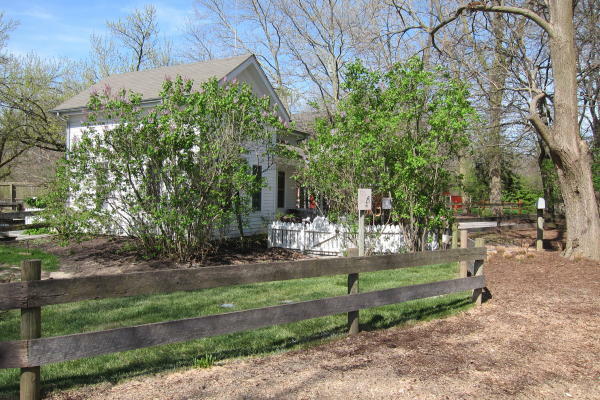 The Indiana Family Farm is another area where you&apos;ll notice changes. There&apos;s a new chicken coop, which is larger and also includes a yard where the chickens can come out for your viewing pleasure. In the barn, you&apos;ll see three different varieties of pigeons, including one that was used in the past to deliver messages. Don&apos;t worry; your favorites are still here, including the popular goats. 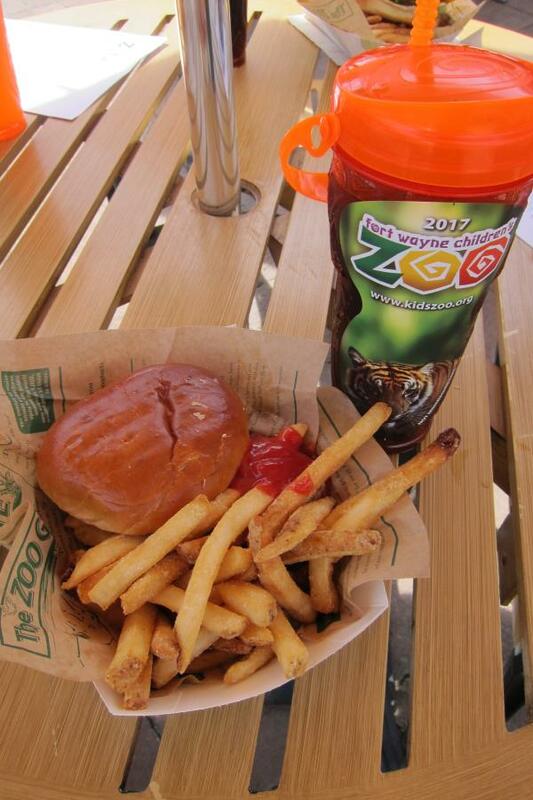 When you get hungry after all your zoo exploring, no worries: there are excellent food options in all of the zoo&apos;s areas. This year, Chef Sean is new at Barefoot Ray&apos;s in the Australian Adventure. His staff was featuring the Outback Chicken Club pictured above, and it was indeed tasty, with a delicious sauce and perfectly prepared fries. The chicken is grilled, keeping the meal healthy, but there are various fried options as well. Be sure to purchase a souvenir cup on your first visit for $7.99. 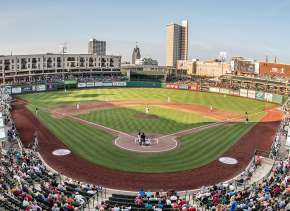 Then bring it back on each visit this season for .99 drinks (including icees). Kudos to the zoo for reducing paper waste with these cups! 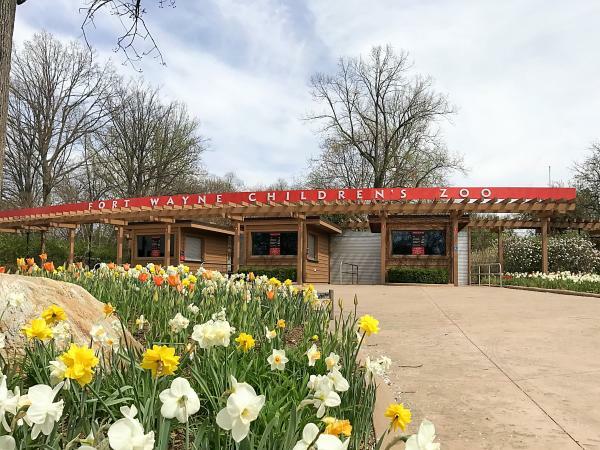 Some of the other new things at the zoo this season aren&apos;t animals at all. 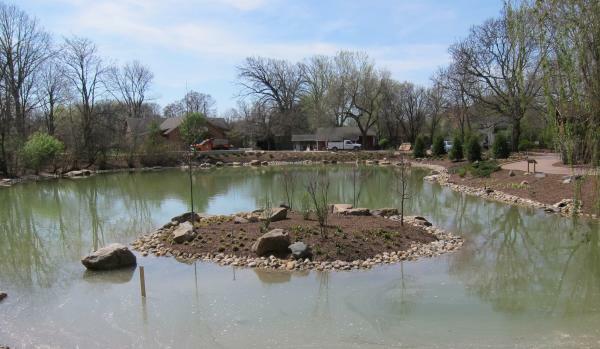 The central pond has been dredged and extensively re-landscaped for a more natural look, so spend some time enjoying it. The African Journey has also had lots of landscaping changes. Also in the central zoo area, check out the new larger Canadian lynx exhibit. The two lynxes, brothers Thor and Loki, are no doubt enjoying their new home, which is three times the size of the previous one. It also has a waterfall, rocks, and new plants. 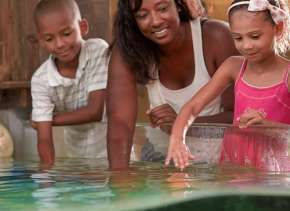 What are you most looking forward to seeing during this new zoo season?